Valencia is a city deep with layers of history and progression. Today it is a bustling, up and coming coastal city, showing its capabilities by being recently elected to hold, Europe’s first world sailing competition, the Americas Cup. 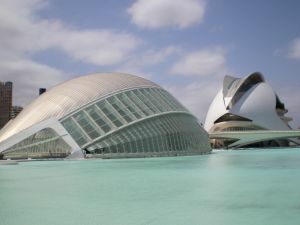 No-one can deny this city’s cutting edge panorama; Valencia is leading Europe in innovation and experimentation within architecture. It is the home to an exquisite historical center, futuristic science quarter, university and a clean city beach. Even in high season, it is not the flocked with tourists, letting visitors admire its local charm. Also check the Accommodation in Valencia section, general Facts about Valencia, its Gastronomy, Price guide for Valencia and Valencia Links.